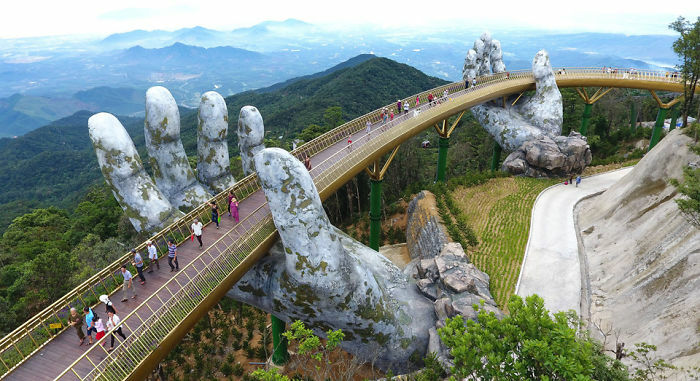 How gorgeous is this stone-like sculpture made to look like two hands holding up a pedestrian bridge in the Bà Nà hills of Da Nang, Vietnam? I don’t know what it is about seeing massive hands interacting with nature but this is quite the attraction! Check out this jaw-dropping video capturing the views! 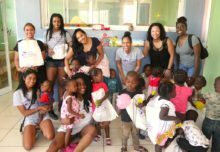 Apparent $1Billion was put into this and other projects in order to draw and increase tourism. I google-mapped the Bà Nà hills and they are located about an 1.5hour drive from Da Nang. 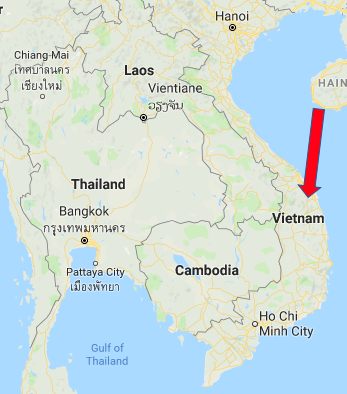 You can see it is right in the center of Vietnam. Smack dab between Ho Chi Minh City to the south and Hanoi to the north. This is a great excuse to explore the whole country and make the trip along the coast. Have you ever been to Vietnam? If not, does this attraction help give you a reason to go? I’ve never been, so naturally it is on my lever-growing travel list! 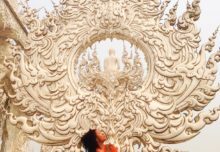 Perhaps I should plan Vietnam and see if I can add Laos, or even Cambodia, since I have already visited and had a great experience in Thailand. Contact me by email at info@TheUrbanTraveler.net if you are interested in booking a to trip to Vietnam!